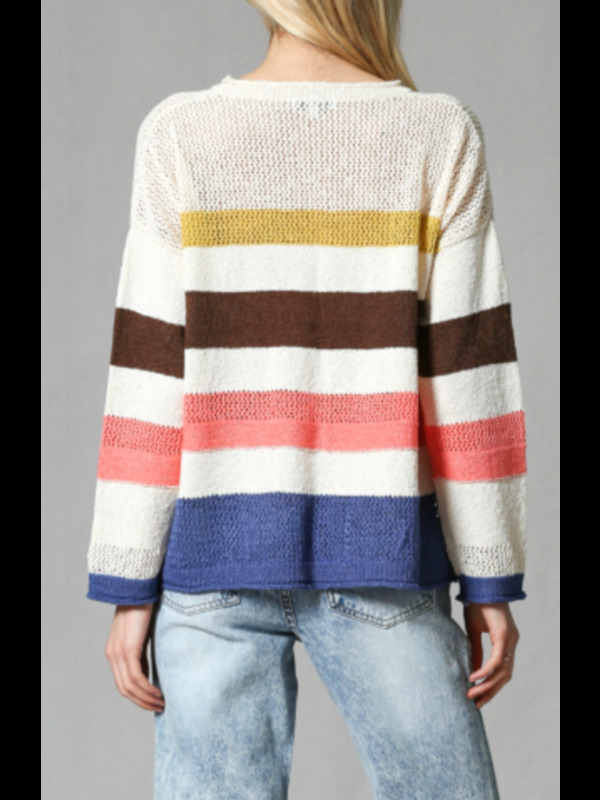 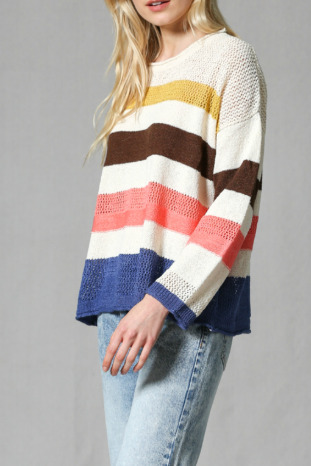 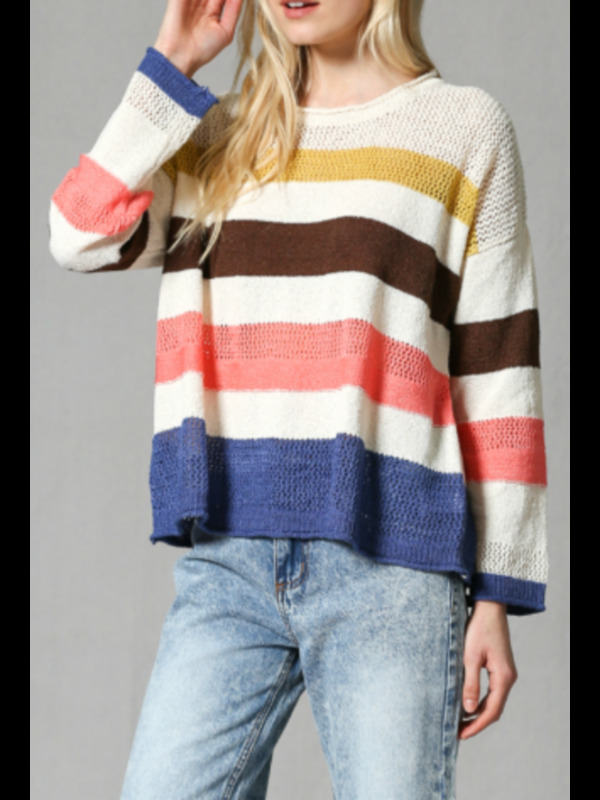 Light weight, multi stripe, pullover sweater. 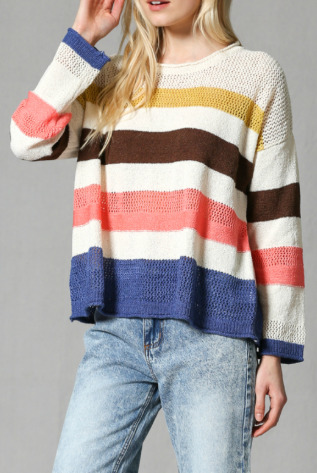 Comfy loose fit. 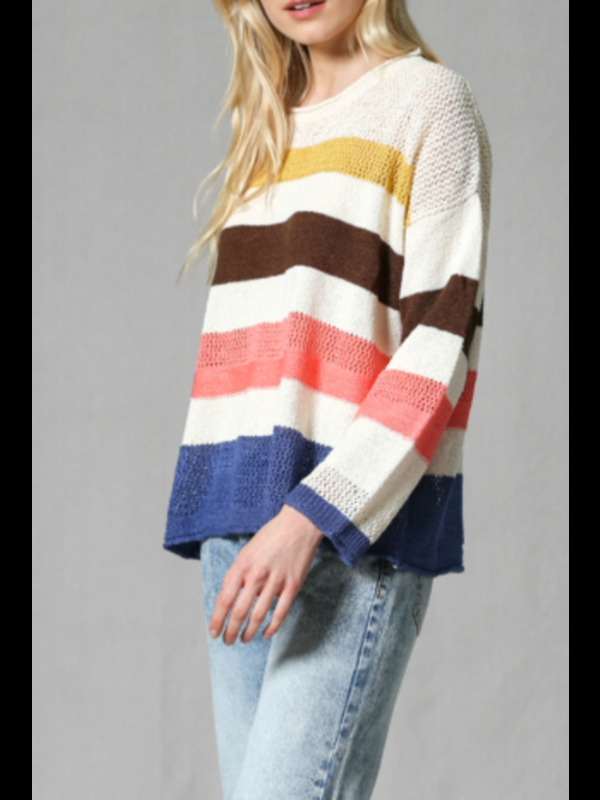 Pair with jeans or cozy pants. 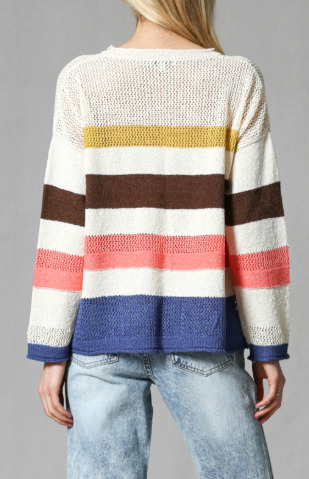 The perfect summer sweater!